Mitsubishi SRK63ZR-S Air Source Heat Pump - Air Conditioning is the latest incarnation of this popular air source heat pump and air conditioning unit. Heating performance has been improved with a SCOP value of 4.11, and a maximum 9.5kw heat output. 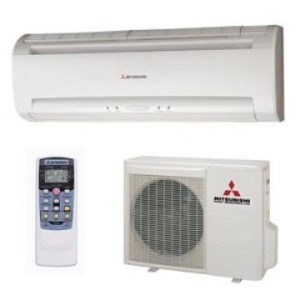 Air source heat pumps are one of the best and affordable ways to heat and cool business premises.